In 2006, Yukos Oil (with Khordokovksy a leading shareholder) had been brought down by a tax bill of some €300 million, and Yukos was liquidated in 2007. In September 2011 the Strasbourg Court held that there had been a violation of Article 6 because Yukos had had insufficient time to prepare its case before the lower courts, and of Article 1 Protocol 1 regarding the imposition and calculation of penalties. A more wide-ranging claim that the tax assessments was levied as part of a deliberate policy to destroy Yukos (in breach of Article 18) had been rejected – contrast the arbitral ruling which has apparently reached a different conclusion that “the primary objective of the Russian Federation was not to collect taxes but rather to bankrupt Yukos and appropriate its valuable assets” – according to the Telegraph summary here. The current decision concerned the question of just satisfaction (i.e. damages) under Article 41 of the Convention flowing from those violations. The ECtHR decided that there was insufficient evidence of a causal link between the Article 6 breach and any losses suffered, a typical finding of the Court on Article 6 breaches. The story was a different one for the A1P1 claim; certain tax penalties ordered in 2000 and 2001 totalling €1.1 bn were “effectively paid” by Yukos, and thus represented “a clear pecuniary loss” which should be compensated under Article 41. So was a 7% enforcement fee on those penalties. 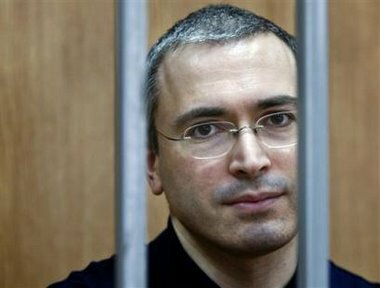 The 2011 judgment had not decided that Yukos would have survived lawful tax penalties and enforcement fees, though the excessive flat-rate enforcement fees (totalling €1.2 bn) had played a significant part in its demise. So the combination of the unlawful tax penalties, the unlawful element of the enforcement fees, interest and €300,000 legal costs amounted to the €1.866 bn ordered. The Court did however dismiss the rest of Yukos’ claim of €35+ bn, representing the additional losses suffered by Yukos in having to sell its main oil production subsidiary in a hurry. There was however a potential wrinkle in all this. Yukos had been liquidated. It had however created a Yukos International Foundation, based in the Netherlands (not surprisingly out of Russia’s grasp), and designed to distribute (after payment of any remaining Yukos creditors) funds received to Yukos’s shareholders. Russia, unsurprisingly, took the corporate identity point. Yukos had gone – was no more. The Foundation had suffered no violation and no loss. The present Court was unpersuaded by the Foundation idea – it was unclear from the file as to who would benefit from such an order. But it cited at  case law in support of its conclusion that Russia should pay the award to Yukos’s shareholders and their legal successors and heirs in proportion to their participation in the company, and by reference to the list of shareholders at the time of liquidation. Russia was also ordered to produce a scheme “in cooperation with the Committee of Ministers” a comprehensive plan for distribution of this award. As in the original judgment, there was a dissent, here from two judges (Judge Bushev), the Russian judge), and in part Judge Hajiyev (the Azerbaijani judge – for his approach to the separation of powers, read here, an oleaginous letter of congratulation to the Azerbaijani president on his re-election – you may remember results for this election were released the day before polling day – see here). Firstly, there must be circumstances which allow for an exception to the general rule of “direct effect” (1.1); secondly, the relevant right to compensation must exist (1.2); and, thirdly, the “successors and heirs” (the shareholders, by analogy) must confirm to the Court their intention to be protected under the Convention mechanism: at the least, they must somehow demonstrate to the Court such an intention (1.3). None of these criteria has been met in the case at hand. Shareholders cannot claim to be victims of the company’s A1P1’s right save in exceptional circumstances, except possibly where the shareholder is the decisive and ultimate power. Here, Yukos had more than 50,000 shareholders who did not have a personal and specific link with the company. The second problem was that the value of shares in Yukos (the shareholders’ loss) could not be equated with the value of the company assets which had been affected by the amount confiscated. The third problem is in effect the class action problem. The dissenters thought that it was not plain that the individual shareholders had signed up to the claim – remembering that the applicant was the defunct company. Whilst at it, the dissenters thought they would have a swipe at the hapless shareholders. They had tolerated the management’s misconduct and had not exercised their statutory right to sue the management team for mismanagement or to “challenge before the courts the sham and fraudulent transactions which led to the mounting of massive tax evasion schemes” – as the judges so neutrally put it. There was also the problem of ongoing arbitral proceedings (of which we now know more than the judges did). Which leads to perhaps the elephant in the court room – enforcement against Russia. The majority noted these arbitral proceedings, and austerely said that the file contains no information regarding the enforcement of the awards made against Russia. The dissenters claim that the shareholders obtained “compensation” through the arbitration awards, though the balance of what the judges say about the award concentrates on that, rather than its enforcement. No-one anywhere has said that Russia has paid anything, though I dare say they would have done if they had. I talked about elephants in the room, because the real issue is whether Russia will pay out on any awards made by Strasbourg or arbitral tribunals which touch on such deeply political subjects such as Yukos and its leading light, Khordokovsky. It is noteworthy that the Court felt it necessary that Russia would produce a plan to distribute the award in co-operation with the Committee of Ministers. This reminds us that the ultimate enforcement of Strasbourg awards is political – can the state bear the ignominy of not paying up amongst its fellow members states? Enforcement is rendered even more complicated by the recent arbitral award. The bulk of the €51bn presumably represents the claim for loss of assets which the Strasbourg court rejected. But is there any overlap between that sum and the claims allowed by Strasbourg? A final observation. Putin appears to be toying with leaving the ECHR, and this judgment may have prodded him further in that direction. And various gusts of anti-Europeanness here in the UK seem to be pointing in the same direction. But if Putin goes for the door, will our esteemed government really want to be part of the same exodus?